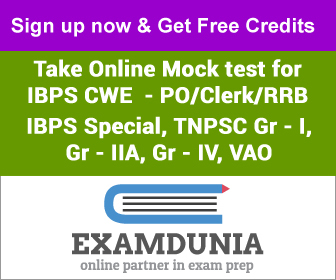 Book for Bank exams conducted by all nationalized banks in the clerical category. Bank examination is conducted throughout the year by various banks. To clear the Bank Exam, this book is very essential. Candidates applying for bank examinations can definitely buy this book. The language is kept simple and easy to understand so that candidates heading from Tamil medium schools can also find it easy to read. Great work! This book for bank clerk post has all solved question papers. I`m able to get an overall idea about the possible questions I may have to face in the exam. It gives in-depth knowledge about the subject. Really useful. Worth buying.